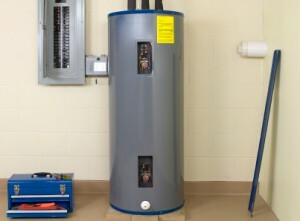 How Does a Propane Water Heater Work? In assessing your preexisting water heater or if you’re thinking about buying a new one, you might consider making the switch to a propane-fueled water heater. However, when we suggest this to consumers, they’re sometimes unsure about making the switch because they don’t know how this process works. Hence, this blog post was born. Let’s discuss how a propane water heater works; we guarantee by the end of it, you’ll feel significantly less intimidated by the idea. In short, the same process is present in all tank systems: the water heater heats up the water and stores it in the tank at a consistently warm temperature. This means that not only is the water heated, but it consistently stays heated for future use. Tanks can be powered by fuel or electricity. Therefore, a propane water heater works like any other water heater, but its fuel source is propane instead of natural gas or electricity. Once the propane is utilized, there is a vent at the top of the tank that acts as a release of exhaust. Any excess gas or exhaust that is created during the fuel burning process comes out through this ventilation location. When your water heater is consistently used – this may be the case if you have a large family – then choosing a fueled water heater is the way to go. This is because fuel takes significantly less time to heat up water within the water tank than electric-fueled tanks do. The source of fuel is right at the tank, ensuring consistently warm water frequently. The decision is ultimately up to you. However, take into consideration that electric water heaters just take longer to heat up water than propane water heaters do. If you choose to make the switch to a propane water heater, make sure you switch while using the best products. Source your propane from local companies, like Northwest Propane. We care about our customers, their homes, and their overall satisfaction. Don’t risk going anywhere else, as we are the best name in propane. Call us for more information or a consult: 972-247-6121.